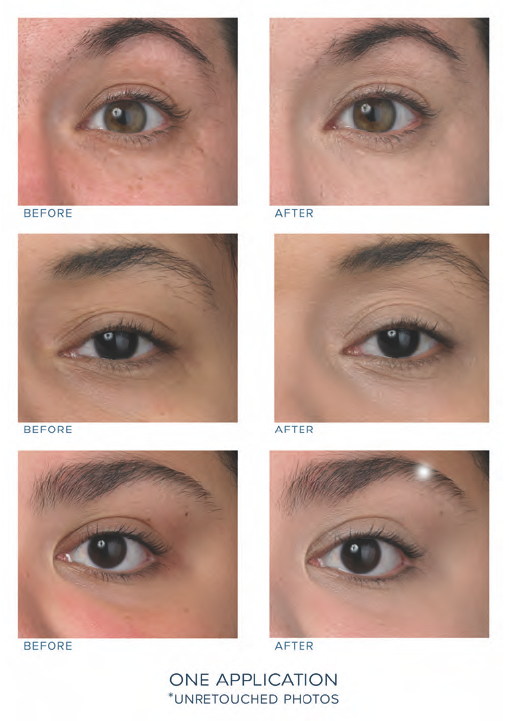 EyeRenew™ Conceal & De-Age Treatment offers the ideal solution with a creamy, lightweight, multi-benefit formula aimed at repairing the eye contour while also refreshing, reviving and renewing. 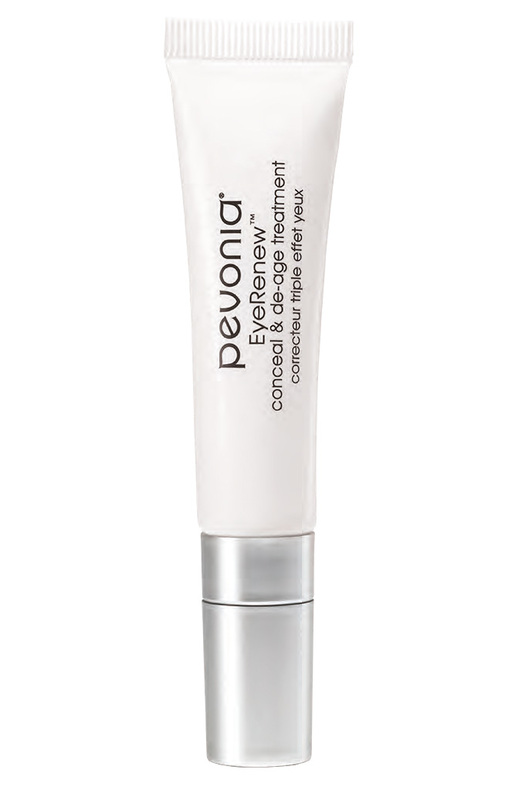 Pevonia’s Proprietary EyeAwaken™ Complex unites a natural blend of youth-reviving ingredients such as Plankton, Marine Collagen, Silanetriol, Hyaluronic Acid and more to repair and flawlessly conceal. Featuring advanced manufacturing, this powerhouse Conceal & De-Age Treatment addresses the most common concerns by smoothing crepiness, crow’s feet, and wrinkles while alleviating dark circles and puffiness. • Plankton extract, derived from the Spanish volcanic island of Tenerife in the Canary archipelago with an ecosystem rich with a diversity of marine micro-organisms. Clinically proven to increase collagen and elastin synthesis, it reduces fluid leakage from capillaries and the formation of AGEs (Advanced Glycation End pro-ducts). It also increases the degradation of bilirubin and biliverdin boosting microcirculation for enhanced oxygen and nutrient delivery to the skin. • Marine Collagen protein delivers superior skin plumping, firming and de-aging benefits. • Hyaluronic Acid infuses the skin with utmost hydration and all day luminosity, repair and protection. • Natural iron oxide light reflecting pigments brighten, conceal and smooth for a flawless, more youthfullooking eye zone. area. Recommended for all skin types. or evening, or when needed. Recommended for all skin types.